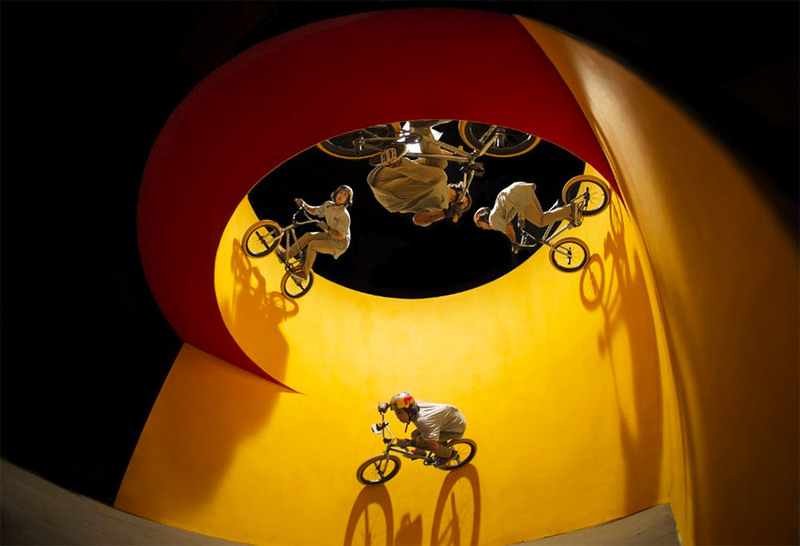 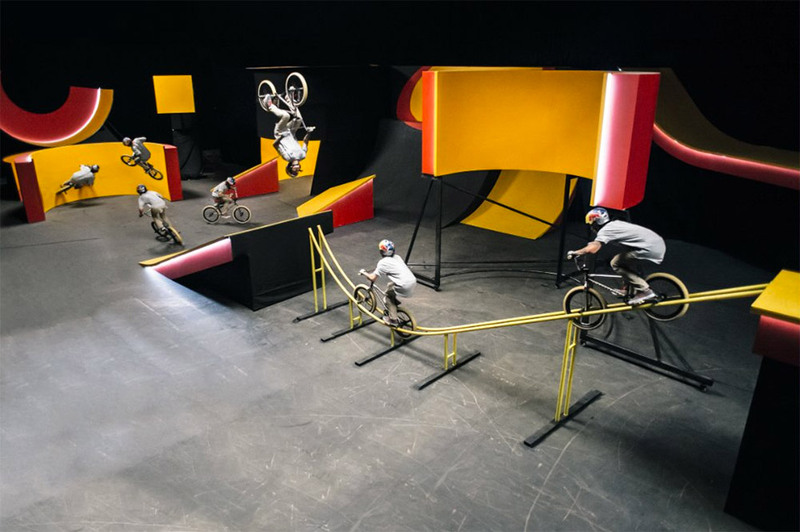 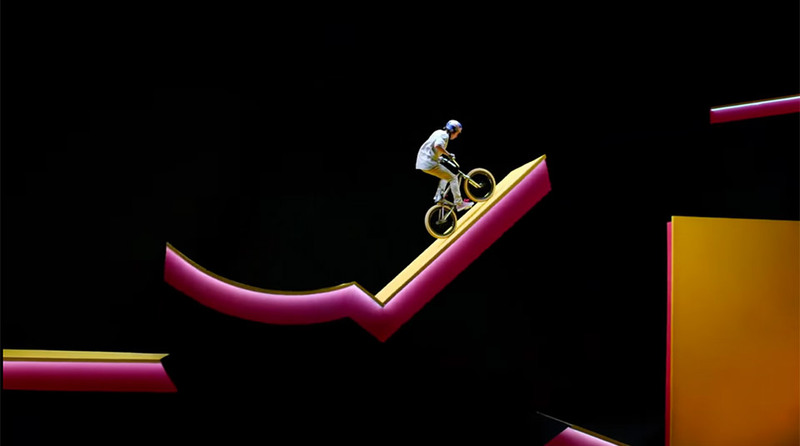 Freestyle BMX athlete Kriss Kyle demonstrates his skills on a trippy indoor course formed from sharply contrasting ramps, moving platforms, and optical illusions galore. 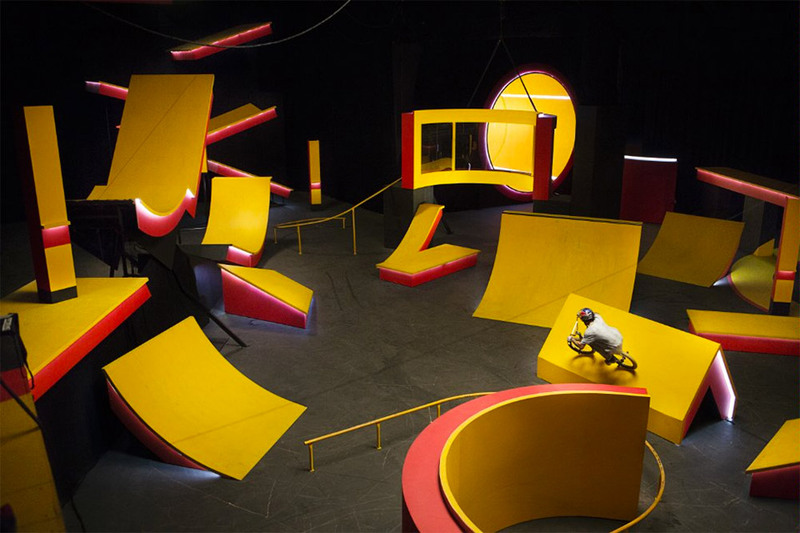 View the film on Red Bull’s website, then see how it was made here. 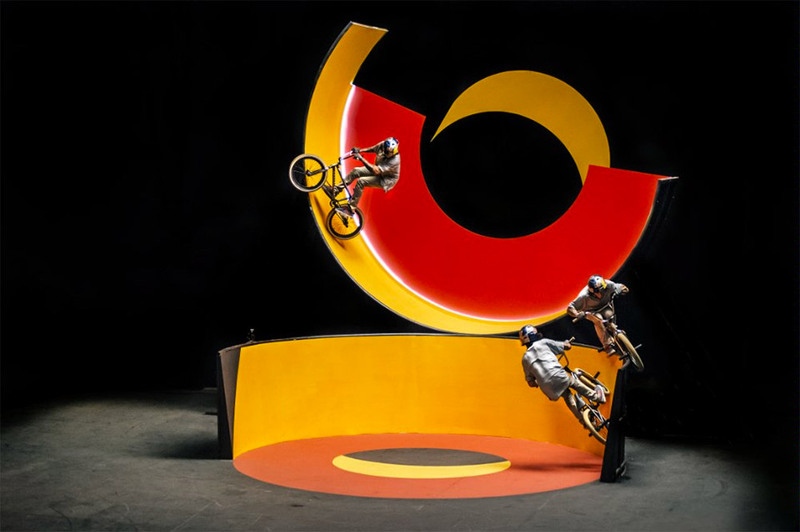 YouTube mirror here.